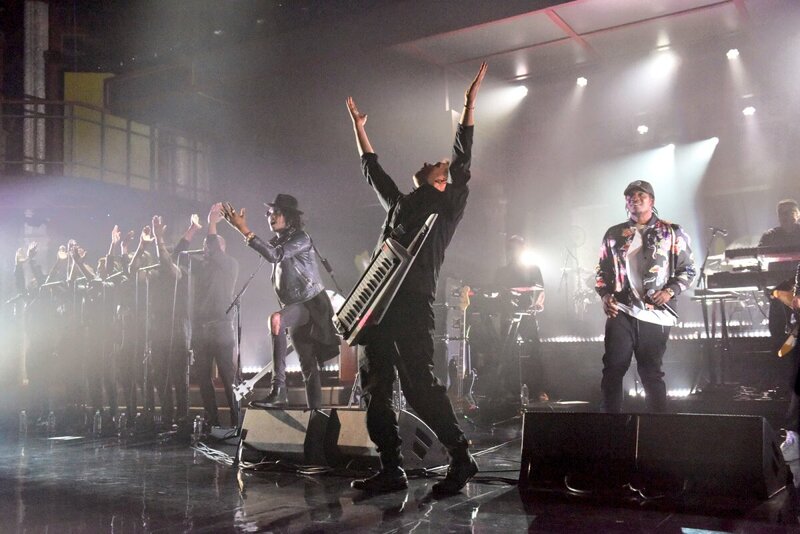 The band performed "Strobelite", "She's My Collar", "Andromeda" and "Feel Good Inc" as the web exclusive Bonus Tracks, published on 5th May 2017. "Strobelite" featured Peven Everett, "She's My Collar" Kali Uchis and "Feel Good Inc" Stephen Colbert (!). "Let Me Out" was viewable on the show's YouTube channel. Gorillaz performing "Let Me Out". Photo by CBS (via Blur Mex).